For those aspiring alchemists, get the big bowl ready as the next game that will make players synthesize and spend time gathering ingredients is just a month away in North America. Following the release of three Atelier games on the PlayStation 2 and one on the Nintendo DS, Gust and Nippon Ichi are finally bringing their first Atelier game on the PlayStation 3. Atelier Rorona: Alchemist of Arland is the follow up title to the long running series of Gust. The game is only a month away from its official release and I finally got the chance to play the final build of the game. Gamers who played the past Atelier games on the PlayStation 2 should pretty much know what they’re getting themselves into when Rorona comes out in North America on September 28th. In Atelier Rorona, players will spend most of their time gathering materials and synthesizing items. There is a deep story involved and there will be deadlines that players must meet in order to get further in the game. Spending roughly two hours in the game and completing the first Assigment assigned to Rorona, I’m already impressed as to what the game currently has to offer. Atelier Rorona starts off the story with the alchemy shop of Rorona and her master, Astrid, in the Kingdom of Arland facing a foreclosure. 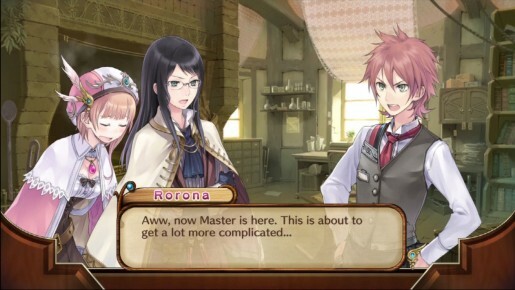 In order to prevent the shop from closing down, the King gives Rorona and Astrid a second chance and that is by completing each of the assignments in three months for three years. In those three months, Rorona must gather all of the materials required in order to complete the assignments. In order for Rorona to gather the materials for her assignments, she has two choices; gather them in the wild or purchase them in stores. Gathering them in the wild will require Rorona to look for a party to join her. In this game, Atelier can hire characters to accompany her whenever she wants to look for materials outside the Kingdom. Money is required for certain characters to join and as each day passes, the hiring fee is being charged. As the player progresses through the game, the NPCs that Rorona meets will open up and offer the player an assistance in gathering materials. 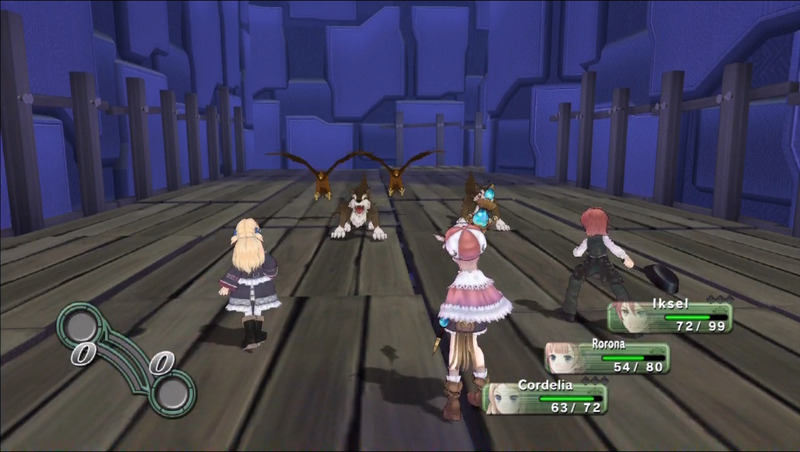 It is up to the player to choose which of the characters they want in their party. In addition to the assignments, there are a plethora of quests that a player can take. Partaking the quest gives the player a chance to get more money (Cole) and raises the reputation of the shop. Quests from NPCs are also possible and completing them raises the trust level in the game. As for the graphics of the game, I am nothing but enthralled. Comparing it past Atelier games on the PlayStation 3, Rorona has awesome graphics as the characters and the environments are sharply detailed. It has the look and feel of an anime which perfectly suits this type of game. For gamers who don’t want the dubbed English voices on the game, they are free to switch it to the Japanese track to experience as the game was originally intended. The tunes and soundtracks used in Rorona are the ones I’ve heard before when playing the past Atelier titles. Since I have not gone too far into the game I haven’t fully explored all of the features in the game. There are a total of twelve assignments and I’ve only done one so far. Atelier Rorona is scheduled for release on September 28th in North America. Check back with us near the release date for our exclusive review and coverage of the game.